PT Waskita Karya (Persero) Tbk - Waskita is reputable and leading state-owned general construction company in Indonesia. Waskita has core business specialization on Construction, precast, realty, toll road and energy. Waskita was formed by the Government of Indonesia on 1 January 1961 as a nationalization result of foreign company named "Volker Aanemings Maatschappij NV" based on Government Regulation 62 of 1961. 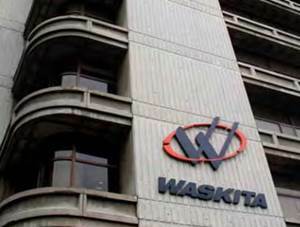 In 2012, Waskita was listed in the Indonesia Stock Exchange (IDX) and its shares are traded under reference code WSKT. Currently, the majority of the Company’s shares are owned by the Government of Indonesia (66.04%) and the remaining is held by the public (33.96%). Waskita is based in Jakarta and now has 30 domestic branch offices and 4 overseas branch offices (Uni Emirat Arab, Saudi Arabia, Malaysia and Timor Leste). Waskita also supported by 5 directly-owned subsidiaries and 6 indirect-ownership subsidiaries. Waskita succeeded in achieving acceptable and sound growth in 2016. Waskita reported total revenue of Rp 23,788.32 billion in 2016, according to PT Waskita Karya (Persero) Tbk Annual Report 2016 as cited by JobsCDC.com. This number is equivalent with an 68.08% increase year-on-year (YOY) from Rp 14,152.75 billion in 2015. Total net income for the year 2016 increased by 73.07 % YOY to Rp 1,813.07 billion from Rp 1,047.59 billion in 2015. At least Bachelor Degree (S1), majoring in Informatics Engineering, Computer Science, Information System from a leading and reputable university with minimum GPA of 2.75. Have specialization in programming and / or system analysis. Mastering one of the following programming languages: C #, ASP.NET, T-SQL, Web Apps, Mobile Programming and / or database server management (Microsoft SQL Server preference). Deeply understanding of the system / application development cycle. Willing to be relocated in all over Indonesia and overseas. Deeply interesting in construction industry. JobsCDC.com now available on android device. Download now on Google Play here. Please be aware of recruitment fraud. The entire stage of this selection process is free of charge. PT Waskita Karya (Persero) Tbk - Management Trainee Program Waskita March 2018 will never ask for fees or upfront payments for any purposes during the recruitment process such as transportation and accommodation.